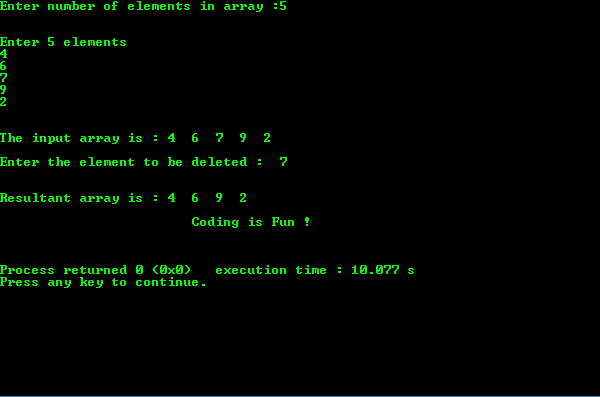 Below is a simple program to delete an element from array, where the position of element to be deleted is given by user. © 2019 Studytonight. All rights reserved.